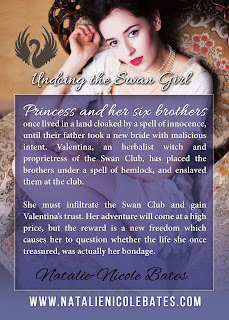 Natalie-Nicole Bates: UNDOING THE SWAN GIRL is now available at Amazon!! UNDOING THE SWAN GIRL is now available at Amazon!! My fantasy romance novella, UNDOING THE SWAN GIRL is now available at Amazon! !